Nicola A. Spaldin has been a Professor of Materials Theory at the Department of Materials Science at ETHZ since 2011. Within MARVEL phase I, she is a group leader in Vertical Project 1. Since May 2018, she has been the project leader of Design & Discovery Project 5. You can read an interview with her here. Nicola A. Spaldin was born in Easington, UK, in 1969. She studied Natural Sciences at Cambridge University, where she obtained a B.A. in Natural Sciences in 1991. She then went to the University of California, Berkeley, to earn a PhD in Chemistry in 1996. After this, she worked as a postdoctoral researcher at Yale University, New Haven, before transferring to California, where she was an assistant professor (1997-2002) and associate professor (2002-2006) at Santa Barbara’s Materials Department, the University of California. In 2006 she was appointed as a Full Professor at the same university. 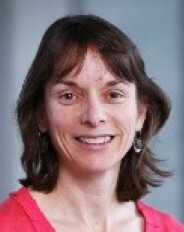 Nicola A. Spaldin has been a visiting professor at several universities: Jawaharlal Nehru Centre for Advanced Scientific Research, Bangalore, India (2000), Department of Earth Sciences, Cambridge University, UK (2003) and Department of Materials Science and Engineering, University of California, Berkeley, CA, USA (2007). Visit her webpage at ETHZ.